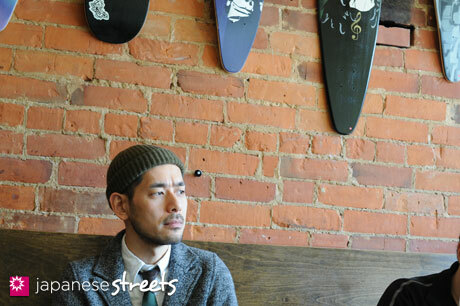 Hiroshi Awai is sitting in the back corner of a noisy downtown Toronto café, explaining how the fashion tastes of North American men differ from those of Japanese men. 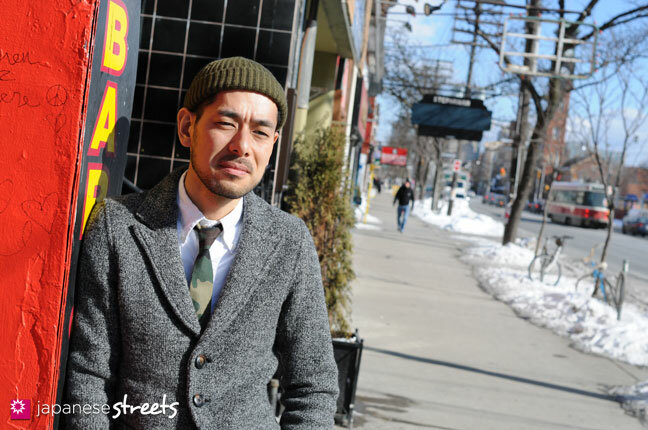 Awai, the Osaka-born creative director of the CREEP menswear line, ought to know, having spent large chunks of his life in both Japan and Canada. 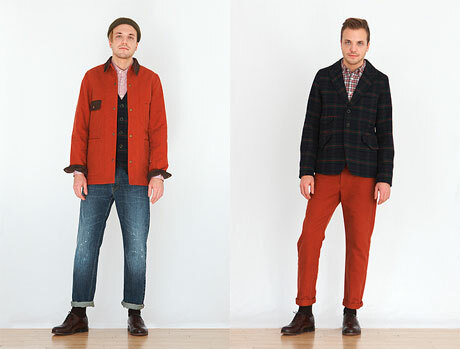 The Toronto-based designer first joined CREEP as a sales agent in 2005, when the clothing line – founded in Osaka by Awai’s big brother Kiyofumi in 1997 – made its foray into the North American market. After three years, though, the line was still barely making a dent on this side of the ocean. Seeing that his brother’s designs weren’t appealing to the tastes of the North American demographic, Awai eventually asked for – and got – creative control. It was an unlikely turn of events, considering that his original career track pointed elsewhere. “I didn’t want to be in the fashion industry,” says Awai, who basically spent his entire upbringing immersed in that very world. He fondly recalls how his father, who notched more than 40 years of service working for a women’s clothing line in Japan, would often take him along to fashion shows and conventions. And while the young Awai was thoroughly impressed by the whole thing, the attraction had worn off by the time he reached his late teens. 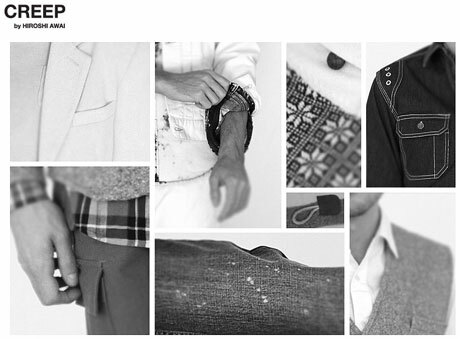 “My dad was a musician before he got into the fashion industry,” he says. “He gave up music to basically take a practical job in fashion. I don’t think he had that much of a passion for fashion when he got into it. Eventually, he grew (to like it). So, I hated that about him, because I was really into music at that time. I thought he was such a loser.” Awai now chalks up the anger and disdain he felt towards his father as youthful rebellion, but at the time, the aspiring DJ/hip-hop producer was determined to prove that a career in the music industry was possible. He decided to pursue his dream of moving to North America, but first, he needed to save some money. After graduating from university, he worked various jobs in addition to the occasional DJ gigs he was getting, such as doing lifeguard duty and working at a pachinko parlour (the popular gambling establishments found throughout Japan), where it wasn’t uncommon for him to receive threats of violence from members of the Japanese mafia. In the year 2000, at the age of 24, Awai arrived in Toronto on a student visa, knowing next to no English, with “four thousand or five thousand” dollars in his pocket, much of which he quickly spent on DJ equipment and records. Times were tough at first – he had no job, and his inability to effectively communicate in English often left him frustrated and in tears. He soldiered on, eventually finding work in Japanese restaurants. He also hung out at record shops and hip-hop clothing stores, making friendships that led to some paid gigs as a DJ. By 2005, Awai’s musical aspirations had yet to fully pan out and he was getting tired of earning his living from restaurant jobs. That’s when his brother came calling. 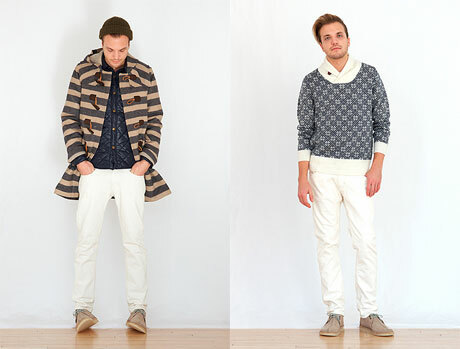 Three years later, he was faced with the huge task of having to create an entire clothing line from scratch. 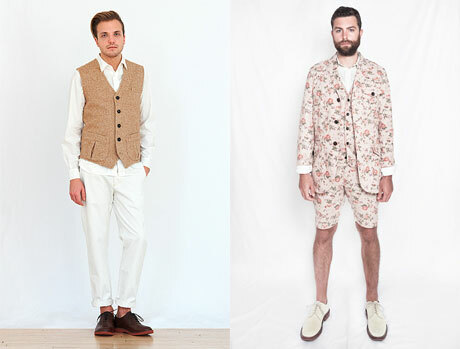 Having had no formal education in fashion design, he drew inspiration from his longstanding love of vintage clothing and American workwear. “I think it was just a whole bunch of things I wanted to do, to put together,” says Awai of his rookie effort. “It wasn’t really a collection. Nothing was tied together. It’s pretty embarrassing to look at now,” he says with a laugh. When asked about the Japanese influence on his work, Awai says there’s very little of it, and so he doesn’t really consider himself a Japanese designer. 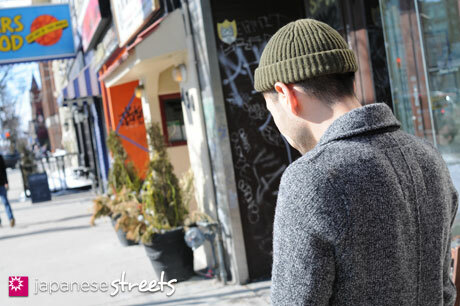 Toronto-based reporter and street fashion photographer Theo Rallis has been running his blog Style Invasion since 2007. His love of all things Japanese has fueled his desire to one day live and work in Japan, photographing the ultra-cool street looks that captivate and inspire him.